Take the ferry from Phuket. Most people offer the ride for about 750 Baht, although we got ours for 650 Baht from PhuketFerry.com. The cost includes both pick-up and the ferry ride. We were picked up from our hotel in Patong by 7:00 AM and taken to the pier, 45 minutes away from Patong. There are two ferries that leave from Rassada Pier at 8:30 AM and arrive at Phi Phi by 10:30 AM. We actually got there around eleven. The first boat cruised around the island of Phi Phi so that we could take in the sights, then dropped off the people stationed at the other end of the island before finally landing at our destination. There is also a later boat, but we wanted to catch a 1:00 tour in Phi Phi. You can also book a day tour in a speedboat around Phi Phi Island. There is no public transport in Phi Phi. Everything must be reached by foot, unless you live in the other islands (like Long Beach), and then there is a long tail taxi. The island is a pretty small place. When we got there, there were a lot of agencies that help you look for accommodations. We didn’t pre-book anything, because we assumed we could just find something once we got there. We were glad we did it that way! The agent showed us a map of the different sides of Phi Phi. “Quiet area,” he said, pointing to the left and right sides, “Expensive area,” pointing to the beach front, and “Cheap area,” pointing to the top. We decided to go for the cheap one, since we were only staying for a night. It was well worth it! We got a lucky score on our accommodations. The agents said that there would be a taxi to bring our bags from the pier. That was our only concern, because one of my friends had a big bag with wheels. I had my Deuter bag, which enables me to move around more quickly, but with the heat and all of that, we wanted some help. I was expecting an actual taxi, but guess what rolled up in front of us—a cariton wagon! So, we put our bags in a huge wagon pushed by a local, and he brought our bags while we walked after him to find our accommodations. Scenery Guest House is an easy ten-minute walk from the pier. You can get to it if you walk up the steps that go to Phi Phi view point. We paid 1,200 Baht for an air-conditioned room for three. I thought that it was very spacious. It was only 900 Baht for a room with a fan instead of air conditioning, but during our stay, Phuket was really HOT. The owner was so accommodating. He was pretty much the friendliest host ever. We spent a lot of time chatting with him, and he constantly offered us water, kept our bags, and gave us the general impression of safety. There are a lot of long tails and speed boats on the beach front. You can’t really get a clear photo of the beach. I love that everything in Phi Phi was labeled—this girl has a poor sense of direction! There were proper direction arrows to Phi Phi View Point, so I found my way around easily. It’s quite expensive compared to other parts of Thailand. It’s mostly for people who like to party. They have cool parties like the ones in Stockholm, Banana Bar, and another bar that I forget the name of. It had a live band and was pretty awesome. It can get HOT in the morning. Like, hot hot We were burning just from walking around. There are a lot of shops with cute items. You can haggle with the sellers, but we still found the prices in Ao Nang to be cheaper. The Phi Phi islands sound really nice. I would love to visit someday. Only one night in this amazing place? I would want to spend a weeke here. Beautiful view of the beach. I love destinations that are on the water. This place is becoming a must visit for me when I go to Thailand. Awesome pictures. hahah great post. Hey how do you pronounce phi-phi? is it like Fee-Fee? Loved the pics looks like you had a blast. Every time you post I feel more and more drawn to go to Thailand. Wuok It is a paradise! Would love to go there in my next vacation! All together it sounds like an amazing place for people who like adventure and the beach, of course! 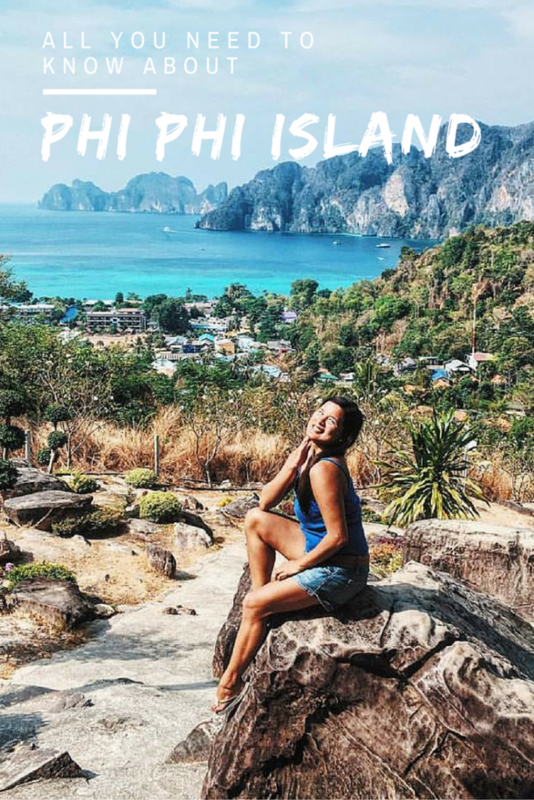 It’s really worth checking out, Phi Phi has a lot to offer after all. Wow, such amazing pictures! I would love to visit that beach! No wonder its quite expensive than other Thailand beaches, the ambiance is just awesome. Having read this, I would like to tell my friend to defer the Cambodia trip and head first at Thailand. 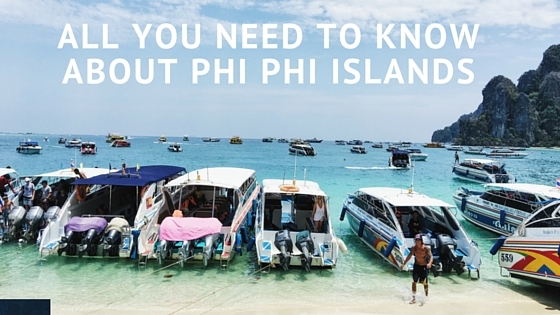 I’ve traveled around Asia, but I’ve never heard of Phi Phi Island. Your photos are amazing. This is a must see! Amazing! I’m so jealous! Those trips must be gorgeous! I love how you detailed the truth about Phi Phi! Interesting facts, and GREAT to know if you’re going to be visiting, for sure! I would totally visit Thailand one day! EEEPPS! I AM GOING in DECEMBER!!! SO JAZZED! This year, there is so much going on!! This is beautiful. My husband has been all over, but I have yet to visit Thailand. This is one to add to our list when we go! Now I’ll know somewhere he doesn’t ;). This looks and sounds like an amazing vacation. The beauty of the surroundings would make it so relaxing for me. I really need a getaway like this! This looks like a destination I might have to add to my list. It looks breathtakingly beautiful. 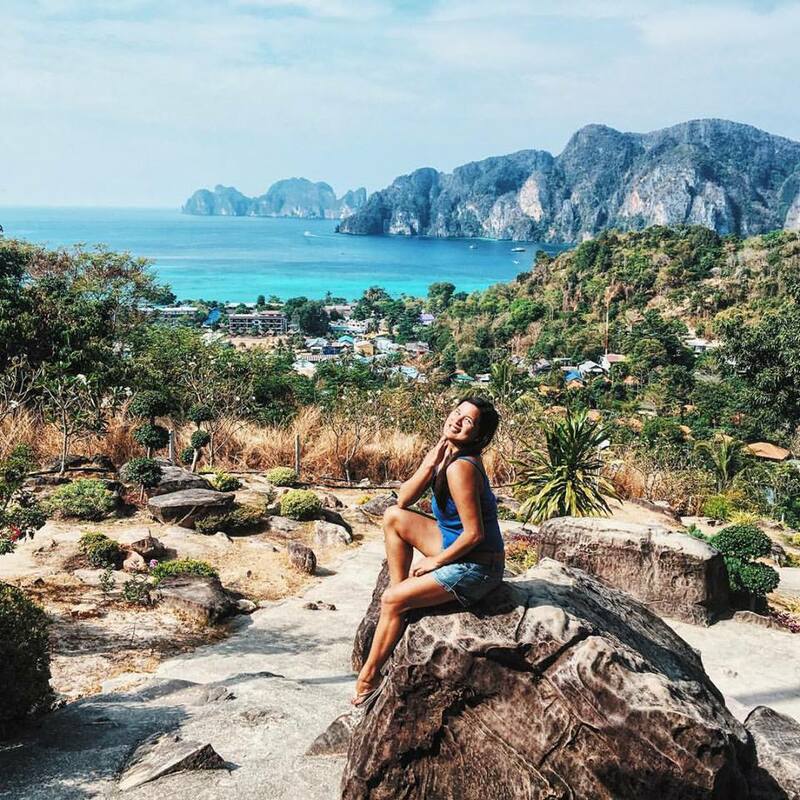 Such a beautifully written description of you adventure in Phi Phi. I felt like I was there with you. It sounds like a very memorable place to visit. You gave me a hankering to go! I love to travel, but have not done much international travel. Maybe when we retire! I don’t go on vacations often, I would rather stay at home most of the time, lol. But really, places like this deserve a visit and you’re definitely missing out on life if you don’t go and see what this place has to offer! I would love to go there someday! Sounds like an amazing place to visit. I love all the photos. They’re so beautiful. I would love to go there sometime. This is an awesome place to visit! Judging from your photos, I can say I’ll really enjoy spending a considerable time there. Just like you, I have a very poor sense of direction so those labels would be a plus ffor me. The beach looks so beautiful. I love that you can find your way around with everything labeled. Most helpful to us tourists! Looks like another paradise to explore in the country of Thailand. I would LOVE to visit the beach someday I hope. It looks like you had an amazing time indeed there. I would love to go on vacation to Phi Phi one day just to have fun. It looks just gorgeous and has a lot of fun things to do. Thanks for sharing your experience. What a beautiful and magical looking landscape! I would love to explore this little island! I’ve never been to Thailand, and if I ever find myself there Phi Phi would be one of the places that I’d love to visit. I’m sure I can take the heat, given the weather that we have in the PH right now. It’s really a beautiful island. I’d love to visit, looks so beautiful! Lately I’ve been daydreaming about visiting Thailand… hopefully one day! Oh wow! Now I want to visit Phi Phi! Look at the blueness to the ocean! Amazing! Phi phi Island was really look great, I love the beach and I wish I can go there someday with my family. perfect spot for vacation. Your family will love it. But try out the Philippines too. Its lovely out there. aww – LOVE Thailand. We visited there about a decade ago. I have a great fondness for everything there now. Thanks for the detailed travel guide! I really want to go here myself hopefully next year! The photos are amazing. I have never been to that part of the world but may have to one day. I love that they label the way to the places. I too am horrible at directions and often get lost even in places I’ve been to before. The water looks lovely! I would love to visit a place like this, and it’s awesome there’s no transportation and all walking! Great guide and this place looks absolutely stunning! I know this is the location of Leonardo de Carpio’s movie “The Beach”. The place looks lovely! And the beach is very inviting! I would love to visit this island too! This island looks lovely! Thank you for sharing! So gorgeous! I love your sense of adventure. I’ve been to Malaysia, close to Thailand but Thailand is next on our list. Wow these pictures are gorgeous!! I’ve never been but it’s on my bucket list for sure!! Wow, it looks stunning. Like a paradise…. I really do have to make a point of seeing when I can go. I would love to visit Thailand one day. 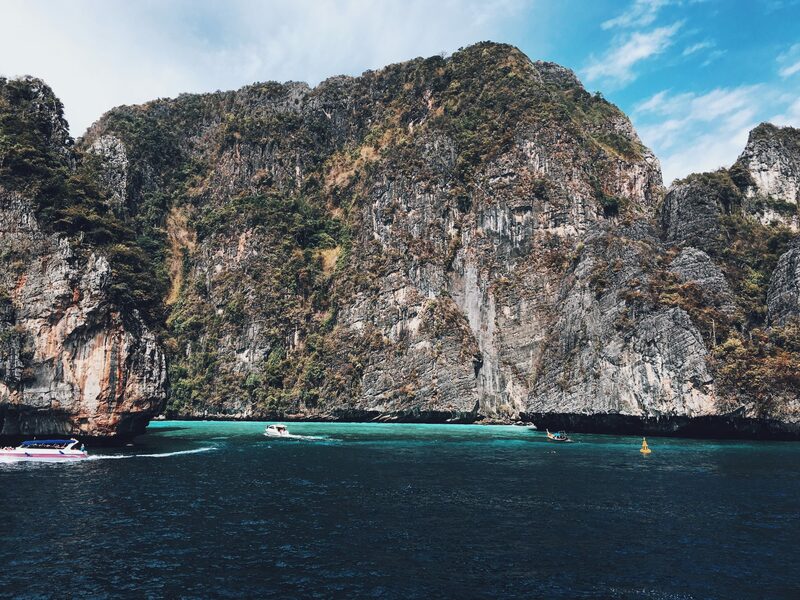 Phi Phi island has some breath taking views. Putting on my bucket list. 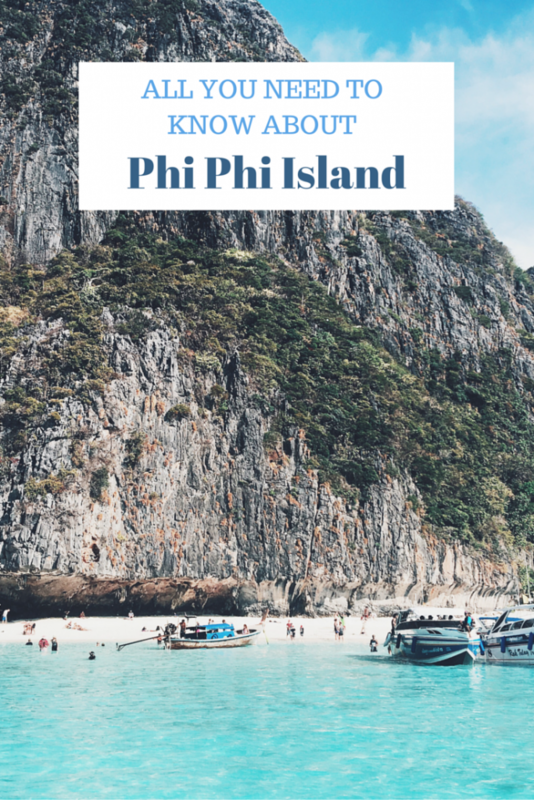 I’ve never heard of the Phi Phi island before. How beautiful and picturesque they look. What a beautiful island. I have never heard of it but would love to visit one day. Nice island, Phi Phi sounds like pretty amazing! You got so many amazing captures there and your last photo is so gorgeous! Good gracious, that place looks amazing! I’m gonna have to add it to my travel list! I do need a vacation! This place is gorgeous! I will have to put it on my bucket list for sure! Thanks for sharing this info! I’m not really a party girl, so I’d probably opt for another part of the country. I had no idea Thailand was so beautiful. Your beautiful photos really remind me of the Caribbean. This sounds like such a cool place to visit. I’d definitely have to do some sightseeing there! 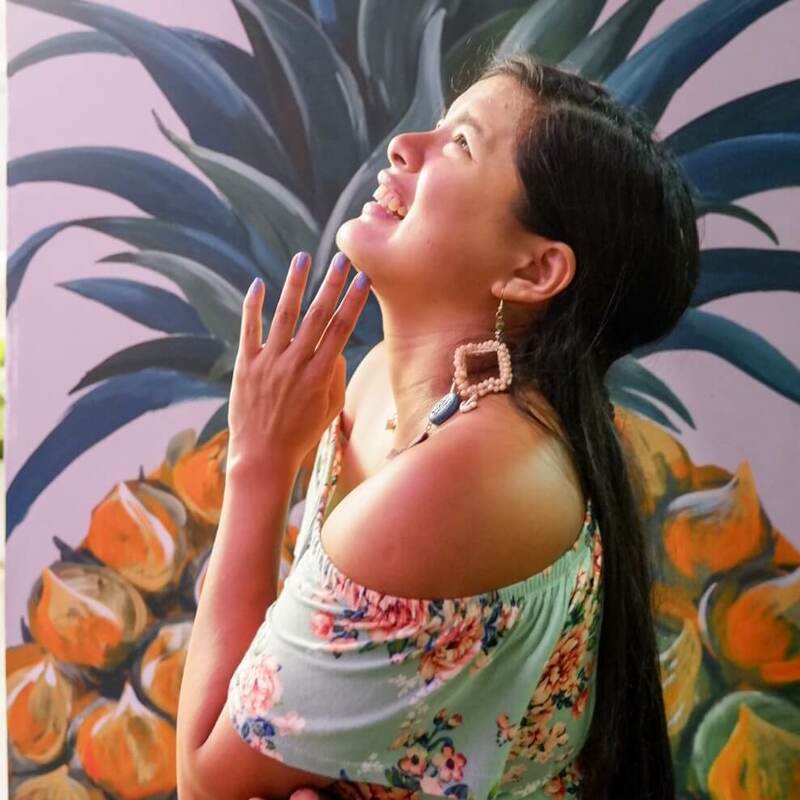 I just came from a weekend from Puerto Galera and this blog reminds me of my weekend…so fun! 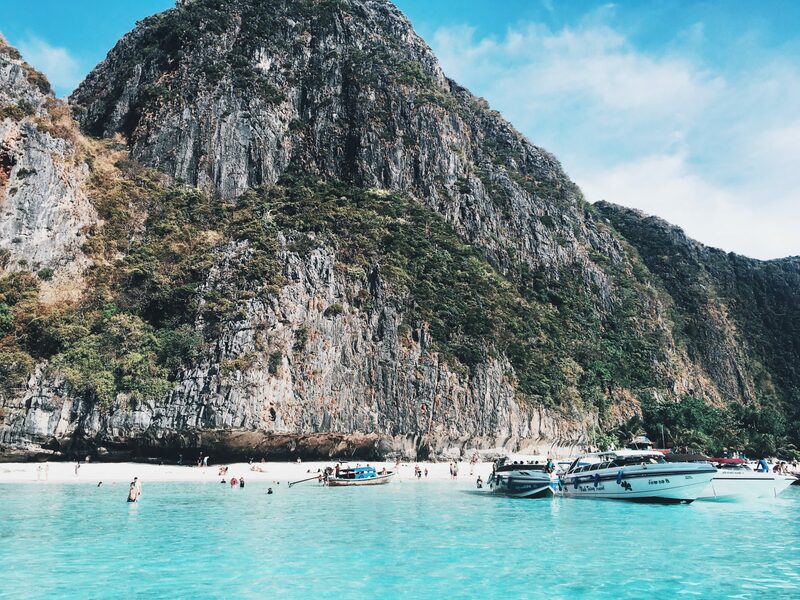 Phi Phi island looks gorgeous! I could spend forever there. That’s great you found nice accommodations without planning ahead. Sounds like everything worked out well for you. Like you, my husband also has a bad sense of direction. So I know he would appreciate this destination also! We are always looking for a PA Winter retreat and may put this on our list. I have always wanted to visit Phi Phi. It looks like such a beautiful place! I would love to visit Monkey Beach! Such a beautiful destination!! Thank you for sharing all I’d ever need to know to make this somewhere I visit. I have always wanted to go to Thailand. It looks so beautiful there. What a beautiful place. I had to look up the $1200 Baht – and it seems like a great deal for a room!! Thailand seems to be a nice place, I hope I can indulge in those beach and have a refreshing vacation. I would love to visit and see the beauty of different counties. You have taken beautiful pictures! Great post! Such a beautiful place! You’ve made me want to visit it! I have never heard of the Phi Phi islands but wow they are definitely on my bucket list now! What a beautiful place. Same here. Poor sense of direction and surely i will survive there with all the signages available. I’ve heard so many great things about Thailand. It’s definitely on my list of must-see vacation spots. What a beautiful place! My co-worker was just there last week! I met a couple who had recently visited there during a networking event recently, they didn’t have any pictures on them so I can finally see it through yours, great shots, looks like a beautiful place to visit! Wow! looks like an amazing place! The water is so clear! Phi Phi is indeed expensive by Thai standards. I had gotten so used to bangkok and Phuket prices that Phi Phi was a mild shock. This island is absolutely breathtaking, and look at those sights! Definitely a great vacation spot. Looking at these pictures on a cold wintery morning in an office is making me want to jump on the first plane to Thailand! Cool place to visit! Thailand is one of my favorite place. I had been twice there, but could not explored more. Thanks for sharing such a great island with us. I will definitely visit it when I will be in Thailand. First of all I LOVE YOUR PHOTOS! The place looks amazing at lalo pang gumanda with your photos. I’ve been to Thailand but not to their beaches yet. Phi Phi looks like an interesting place to visit aside from Phuket. Thanks for the tips! I’ve never been to Phi Phi Island or anywhere in Thailand so this remains in my bucket list. Since it’s a party place, I guess I’d push it back under family-friendly beaches for now. I would love to chill here with a drink in my hand and just appreciate the good view and the sea breeze. It looks a lot like Coron in Palawan yeah? I am amazed by your photos. Not only in this post, but in your other post as well. Or maybe I am more amazed by the fact that you are traveling the world. I want to travel as well. Who wouldn’t right? How I wish I can travel the world with my kids. That would be very awesome! Anyway, Phi Phi islands looks awesome! It would be an amazing experience visiting there. Thanks for sharing your travels with us!